Hi all, long time lurker, first time poster. I have been storing my broken down sets in original boxes inside of Zip Lock bags (1 Gallon and Sandwich ones, obviously brand new clean bags). I recently acquired 9446 set and was sorting the pieces, the brown plates are insanely brittle, have no flex at all and even a tiny bit of pressure from the disassembly tool is enough to snap off pieces of plastic and snap plates in half. To make it more clear, they are so brittle that if I laid a plate on the floor and dropped another one on top of it from a few feet up they would both shatter into a thousand pieces. I dont know the history of the set, so I assumed sun exposure. However none of the pieces are sun bleached and only the brown pates are affected, all other pieces are fine. So I just placed an order for a bunch of 100% Polypropylene (LDPE) bags that are meant for comic books. It seems like they should be a good way to store LEGO. Right? What do you guys use and has anyone used Zip Lock 1 Gallon and Sandwitch bags for 10+ years without issues? I store all old sets in Ziploc bags. The biggest issue I think would be tire degradation, or 'melting, into the plastic. However, I also think that if they are in a somewhat temperature controlled environment in darkness, then it should be OK. I think if you are seriously worried about gallon storage bags affecting LEGO then you may be disappointed in that you will never find an 'acceptable' way of storing such products. As for brittleness, I do not buy an argument that skin oil would cause brittleness. If so, then LEGO really needs to fix their chemistry for parts considering that LEGO is meant to be played with. 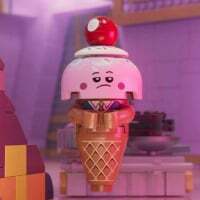 I think LEGO looks for any excuse other than the obvious (you know the one that would cost them the most), an issue with their design changes over the past 15-20 years that has changed how they have made the brick, but that is just my opinion and I can be wrong. I believe there are those a bit more knowledgeable in chemistry in the forum that can debunk or attest to the claims. I will add that age of the LEGO matters. I have sets from the 80s in ziploc bags and they appear to be fine. Torso's have cracked on old figures, but that is more likely due to stresses over the years of plugging the figures apart moving the arms, etc, and temperature swings when not in a somewhat temp controlled environment. If the brown pieces are the current reddish brown, there are many documented instances of brittle and cracked pieces in this color (from these very forums and elsewhere). 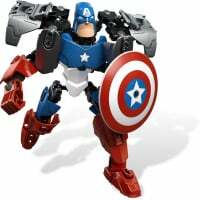 The issues are known from brand-new parts right out of the box. Even LEGO knows about this (and they always seem to be the last to know...). The formulation for the reddish-brown pieces, and possibly the manufacturing process and industrial storage at the molding facility, is the likely culprit for your issue. That said, any type of storage material meant for archival storage can't be bad for LEGO storage either, I would imagine. There was a well-known brittleness problem with reddish brown pieces, so as others have pointed out, I would blame that instead of the ziplock bags. As of 2018 this issue with New Dark Red/Reddish Brown/Dark Brown should be resolved. With just 2-3 exceptions, all dark/reddish brown pieces in your 2014 #9446 Destiny's Bounty have been in sets in recent years, so if you reach out to Lego CS they will probably send you replacements. If you're not up to storing Lego in sandwich bags, why not switch them around and start storing sandwiches in Lego bags? Don't go starting that thread up again! I wouldn't blame Zip-Loc bags for the degradation of Lego bricks. I would think that climate would play a bigger role. Other than what has been mentioned it has also been documented that Lego bricks have "yellowed" inside sealed boxes. I have not had an issue with storing my used Lego in Zip-Loc bags. I have 100's of tires in bags and they are perfectly fine. I pulled my childhood collection out of my parents closet last year. A closed plastic tub full of elements stored in darkness for 18-20 years (age depending on the set). Other than minor dust, the pieces were in quite adequate used condition. I was able to piece together a number of my old sets, and was surprised at the good condition. Point is, unless you store them in direct sunlight or extreme temperatures, I don’t think you’re going to cause much damage to the elements outside what they’re already prone to (ie the reddish brown issue already mentioned). I have never had any issues with storing LEGO in ziploc bags (I think that is the majority consensus). What I do wonder though is what is better - fully disassembling the set before bagging it up or keeping it together as much as possible? I do both for what it is worth but sometimes wonder if I should be doing one of the other (probably disassembling). Would explain what happened to these minifigures that were opened last month from a retired set. 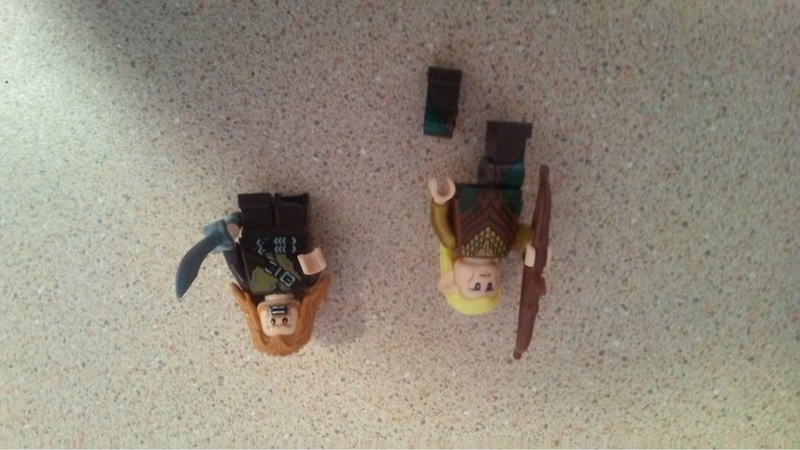 People may want to check their minifigures for defective brownish parts before some parts become retired. They usually turn parts over in CS after 3 or 4 years. Doubtful they’d have a replacement for this, but it’s possible. You should give them a call. 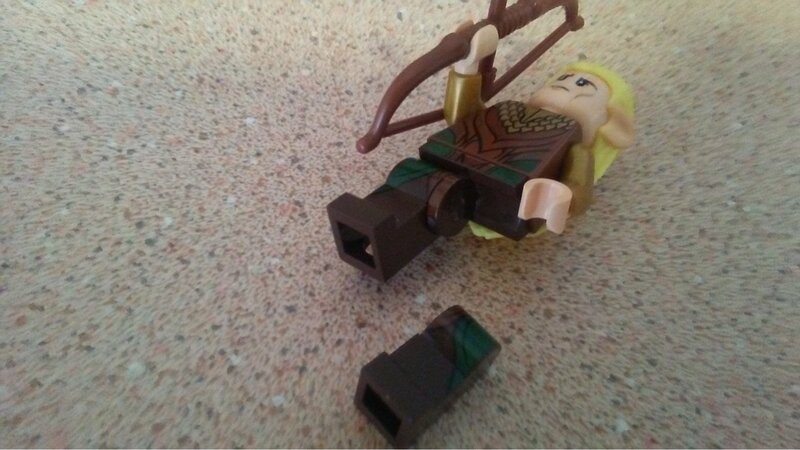 ^Is that "Legolostleg" from "The Hobbled"? I've been using Zip-Loc bags (sandwich for small sets and freezer for large) since some point in high school. So somewhere between 92 and 96. Even as a kid, I did not like the parts from sets getting mixed up with the general building pieces I'd get from sets bought specifically for parts or garage sale bought pieces. The only downside is every couple years, I need to go through and replace any bags that have tears in them. Every now and then a piece will push through the bag. Don't mean to thread hijack...but does anyone use silica gel packs when storing their Lego? Yes, with electrical items - not sure it's actually necessary though. I’m no scientist, but all my Legos from when I was a kid (80’s) were always stored in smaller moving boxes. Even as a kid they were stored in those boxes and they still live in those same boxes. To this day my space and castle sets still look brand new, although a few stickers are peeling a bit on my town sets, all that may have been as a result of play. I’m with you. I just use the quart freezer bags for small sets (yeah they’re kind of big for small poly bags LOL but no issue, and the gallon ones for larger sets. NO issues either, especially with using the thicker freezer bags. Last April I got #6076 that had been stored in the original box sitting in an attic in NC for over 25 years. Temperatures ranged from over 100 to below zero Fahrenheit. The box was slightly wrinkled, probably from dampness over the years, but the bricks were like new. I suspect that darkness was the main reason the was so well preserved, as even the brown parts were undamaged. And the white parts were un-browned? Only white parts in that one are the beard and a 2x2 tile, and they were not browned. I also got #493 that was just loose in a cardboard box in the same attic (Uncle's house). The white spacemen were still white, only damage was antennas that were obviously modified by me or my cousins back in the 80s and some bite marks. Some loose white bricks were also found, enthusiastically played with but un-browned. 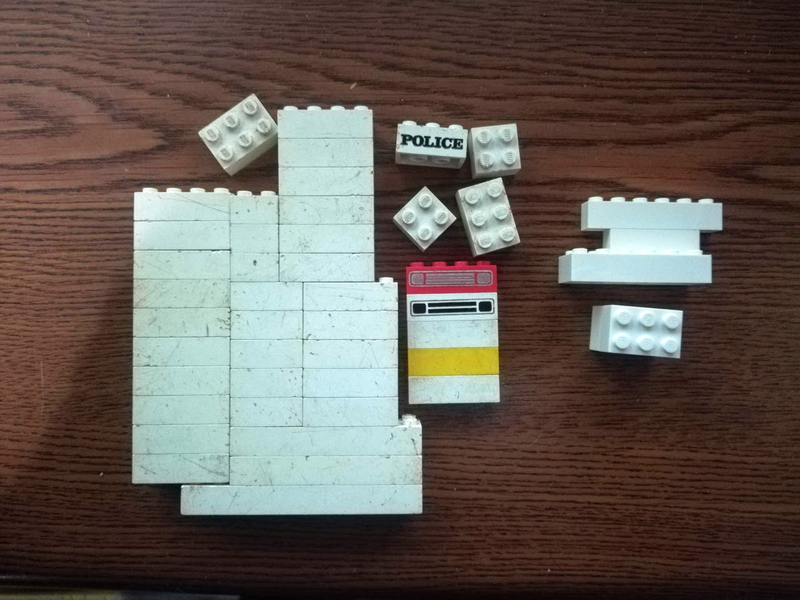 I kept the loose stuff separate from all my other bricks, so here's a pic of some of the old bricks (on the left) and new white bricks from an architecture Studio set. There's a photo over here of the sets assembled after I got them home. They are still on display in the living room, still carrying the dust from 30 years of storage. In Lego brand bin under my bed or stacked next to my building desk.